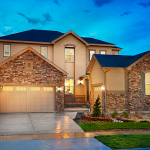 Longmont—Boulder’s countryside cousin to the northeast—has officially come into its own. Remaining true to its agricultural roots, yet brimming with hip eateries and breweries, beautiful parks and open spaces, a revitalized outdoor mall and a surging Main Street (besting Boulder’s Pearl Street in sales tax revenue last year), Longmont has developed into one of Boulder County’s most popular hangouts and places to live. Here’s a look at what a day in the life might look like for you as a resident. 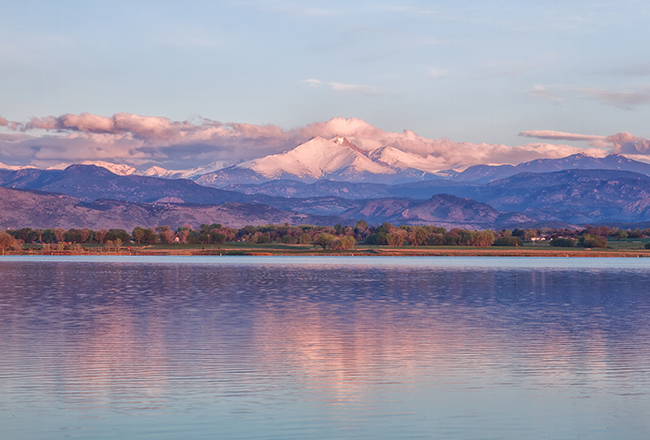 Located on the western edge of the city, McIntosh Lake offers unobstructed views of Longs Peak (the majestic fourteener from which Longmont derives its name). A 3.5-mile loop around the water provides ample time to take in the crisp morning air and watch for the herons, pelicans, geese and eagles that have been known to frequent the lake. Head across town to the Sun Rose Café for some fresh coffee and a tasty, locally sourced breakfast (hi, locavores!) on Main Street. Historical neighborhoods dotted with stately architectural styles, such as Dutch Colonial, Victorian Eclectic, Tudor Revival and Second Empire. Roosevelt Park. Established in the early 1900s, this recreational gem features a playground, a pavilion, an ice rink in the winter, a pool in the summer, a veterans memorial, a rose garden and public art. Longmont Public Library, a multi-story haven for readers of all ages. Named a 2016 National Medal Finalist by the Institute of Museum and Library Services. Shopping. An eclectic array of local stores offers something for the motivated buyer and window-shopper alike. Find that antique set to complete your living room, get lost in the aisles of a used book store, scout out your next guitar, make your own pottery and more! Cheese Importers. In business for over 40 years, this establishment now occupies a historic building on south Main Street large enough to accommodate its awe-inspiring selection of over 350 varieties of cheese. There’s also a bistro and European-style bar, offering everything from cheese platters and charcuterie boards to soups, salads and sandwiches. Local craft beer and cider companies, such as Left Hand Brewing, Pumphouse Brewery, Wibby Brewing, Bootstrap Brewing, 300 Suns Brewing and St. Vrain Cidery. And while it’s not located downtown, we’d be remiss not to mention the renowned Oskar Blues restaurant and taproom on the southwestern side of the city. The Dickens Opera House & Tavern. Built in 1881 by a relative of Charles Dickens, this establishment doubles as a restaurant and music venue, hosting live shows several nights a week. It also has a blog to chronicle its ghostly sightings! Luna Cafe. A coffee and pastry shop set inside a Victorian-style house from 1920. Come for the coffee, stay for the wraparound porch. This cultural treasure has come a long way since its humble beginnings in 1936. Home to the award-winning Front Range Rising permanent exhibition, and over 27,000 historical objects and photographs meticulously documenting the history of the St. Vrain Valley, the Longmont Museum is a must-see. The museum also boasts plenty of space for rotating exhibitions, along with hands-on educational activities and indoor/outdoor concerts, film showings and lectures. ATTRACTIONS FOR THE NEXT FUN DAY OUT!